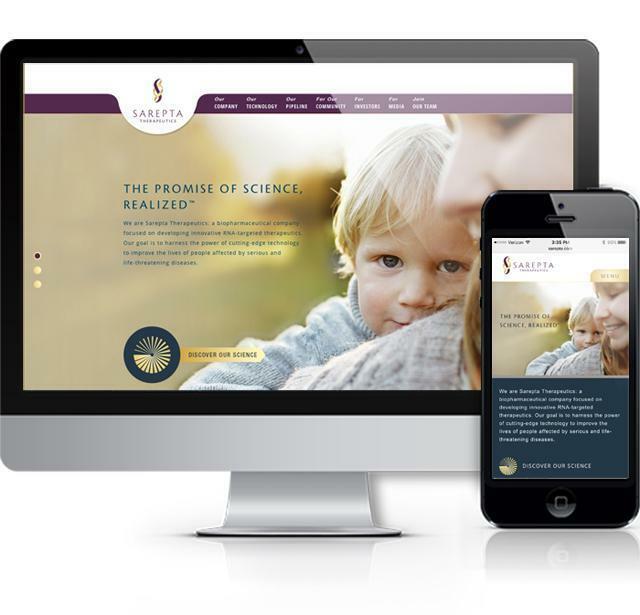 In April 2014, biopharmaceutical company Sarepta Therapeutics launched a new website – www.sarepta.com– as the culmination of a strategic rebranding plan. Sarepta had its initial public offering in 1997 under the name AntiVirals Inc., (later changed to AVI BioPharma, Inc.,) and was renamed Sarepta Therapeutics in 2012 (NASDAQ: SRPT). Creative agency Fox + Gazelle designed a dynamic new site for Sarepta and called upon Medium Well to build the site (see more on Agency Support).